Safari World, Thailand’s most popular open zoo, is located on the outskirts of Bangkok which takes around 2 hours from Bangkok by public transit. Now, we will tell you how to get to Safari World Bangkok by public transit in detail. Make sure you follow us properly! 1. Head to Mo Chit BTS Station or Chatuchak Park MRT Station to go to the bus stop. Pick the station closer to where you are staying. 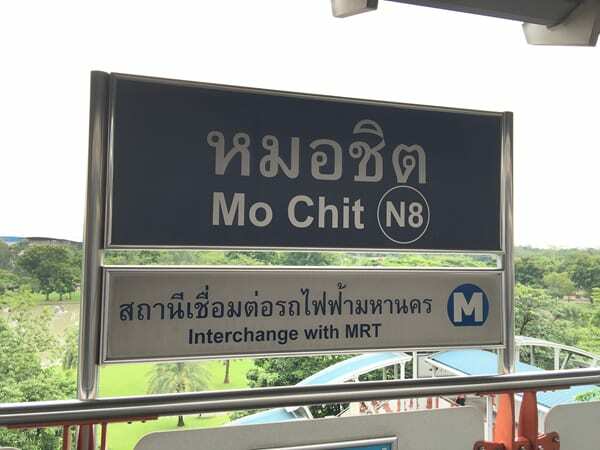 Mo Chit BTS Station and Chatuchak Park MRT Station are basically in the same area. Thus, either station works fine. Come out of the exit 1 or 3 and walk towards to the Chatuchak Park which is opposite bound of Chatuchak market. You will find Chatuchak Bus Station 2 (ป้ายรถประจำทาง จตุจักร 2) in 300m distance from the exit. Make sure you look at the map closely and don’t get confused with the Chatuchak Bus Terminal which is totally on the other side of the park. 2. Get on a 26 or 96 bus and get off at the Fashion Island Mall. Both buses will take you to the Fashion Island Mall. But it is recommended to take the 26 bus because it has fewer stops so it will get you there faster, and also they have AC on the bus. It takes around 1 hour to get to the Fashion Island Mall from the Mo Chit BTS Station. 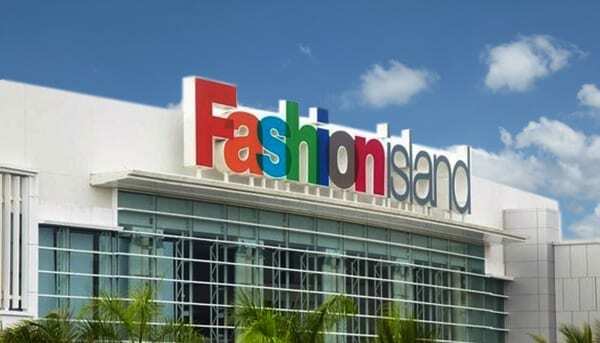 Fashion Island Mall is one of the largest malls in Bangkok. Check it out on the way back from the Safari World. 3. Get on a 197 bus or take a taxi to the Safari World. Once you get off from the 26 bus, cross the overpass and get on a 197 bus which is a local minibus called Songthaew. After a 20 minute ride on the 196 bus, you will arrive at Safari World bus stop. Now you’re almost there! 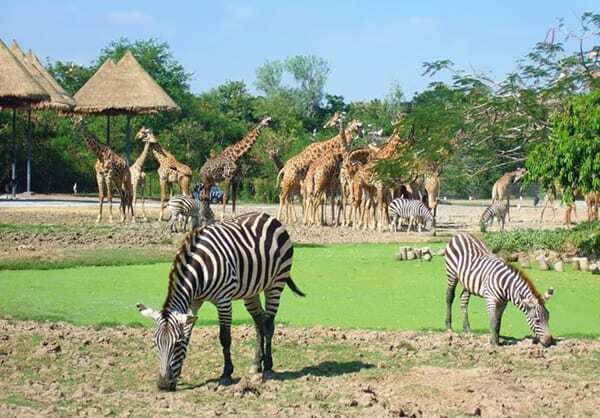 Safari World Bangkok is only 800m away from the bus stop and you can easily walk there. Or you can simply just take a taxi from the Fashion Island Mall to the Safari World. It is only 10km distance so it will cost at most 100baht. You can take the same way as you took to come back to Bangkok downtown. 1. From Safari World to the Fashion Island Mall. From Safari World main gate, you will see many taxis waiting around. You can either grab one of those taxis or take the same 197 bus to the Fashion Island. Take a 26 bus on the opposite side of the Fashion Island Mall and get off at Mo Chit Station. You can also take a 96 bus but the 26 bus will get you there faster. Do you feel more confident in getting to Safari World Bangkok by public transit now? It is not that complicated if you think about it. AND you save more cab money. If the join-in tour is not for you and you want to save money on a taxi, this is probably the best way to travel for you. If you want to check out some of the best Safari World Bangkok ticket deals, read our other post! 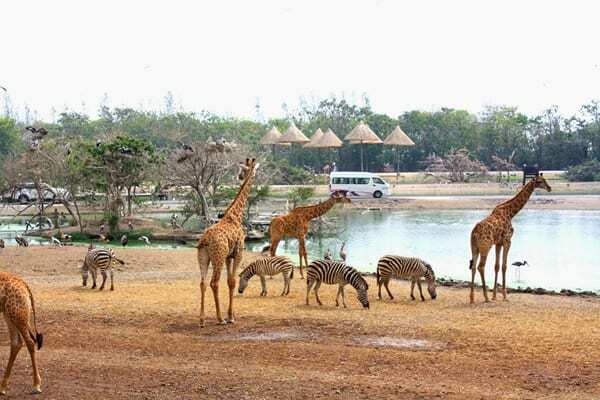 👉 Safari World Bangkok Ticket Deals on Trazy! Hi Trazy. My question is on Safari World Bangkok. I manage to go to Safari on my own. At Safari, can I hire a taxi inside Safari Park for a private tour? I want to see live animal inside a low-speed taxi. Where can I find taxi at the Safari (parking lot, ticket booth, entrance gate)? Do you know the estimated price? 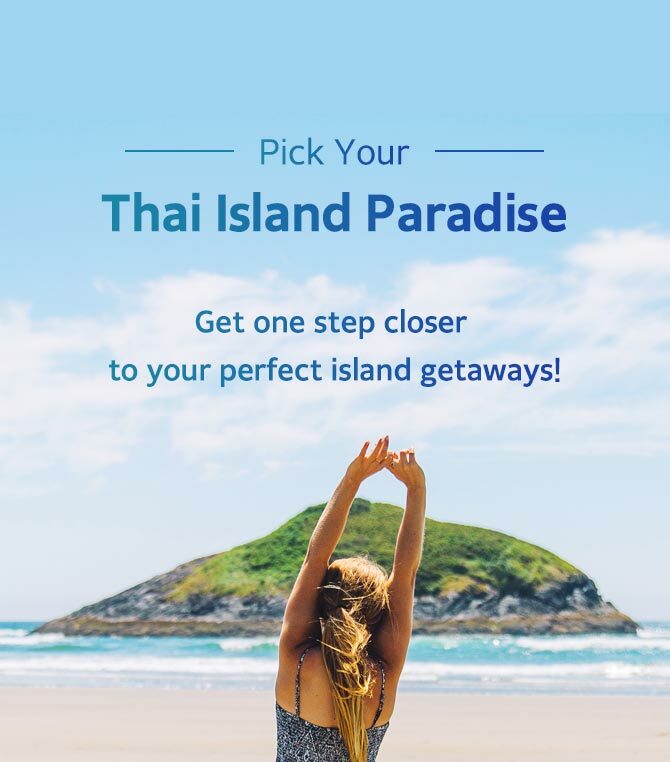 We do not know the details but we can check the availability for the service mentioned with the local operators in Thailand. If you are interested, please send us an email to ‘inquiry@trazy.com’ with the details such as visit date and participant number.